This is #3 in the blog series Learn to Make Peace with Your Aging Body. Due to some reactions I wanted to clear up some misconceptions here. You can catch part 1 here, and part 2 here. Whenever I use the word “Crone” in conversations with women over 50, I get blow back. Women my age and older HATE the word Crone. That is, women who have not learned out about or experienced the magical element that surrounds this reviled word. It’s another one that the patriarchy has tried to twist around to make women—in this case elder women—into something to be sneered at, dismissed, ignored. The sad reality is that most people think ‘Crone’ means an ugly wart-nosed, snuggle-toothed old woman riddled with wrinkles, and mean to boot. However this definition was deliberately put into place during the Inquisition and witch burnings when male church fathers were intent on stripping women of any power they might hold. Before then “crones”, “hags” and “witches” were positive terms for older women who held important positions in the community. They were the leaders, the healers, and the midwives—basically the bringers and preservers of life. We’ve lost that knowledge now—at least in mainstream society. Because of our modern culture’s contempt for any sort of aging—and in particular—women who have passed their childbearing years, no one wants to be thought of as a Crone. This is actually a sad thing, because we wise women are actually missing out on something very special. I began to see “Crone” in a positive light in my 20s when I was experimenting with pagan/Goddess/nature-based religion rituals with other women. I have always been a fierce feminist and champion and women so it easily followed that I would be drawn to women’s ceremonies. 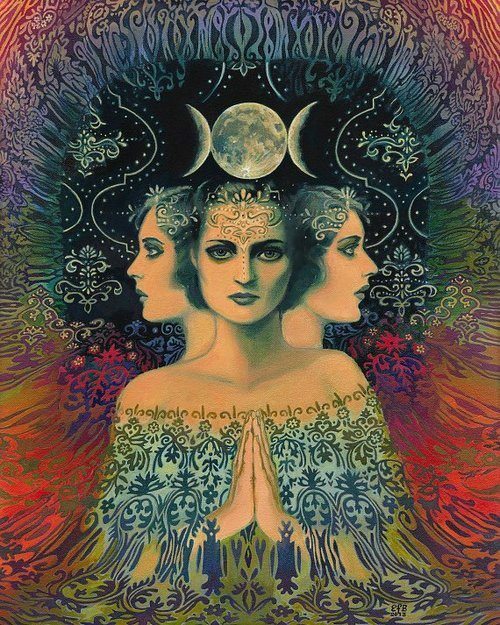 The Crone is a facet of the Triple Goddess, which represents the stages of a woman’s life—Maiden, Mother and Crone. Each facet has a sacred purpose and is regarded as equally beautiful (unlike the way we experience the stages of life in this culture!) Each stage also corresponds with a phase of the moon. Maiden is the waxing moon and new beginnings, Mother is the peak of life, full ripening, represented by the full moon (and all woman go through the “Mother” phase regardless of childbearing or not), Crone is the waning moon and the new moon—therefore an ending and a beginning. The Crone phase is a sort of culmination, when we are able to fully integrate and embody all the wisdom we have gathered in the previous phases. The is one of the reasons why elder women are honored and revered in many cultures even to this day. I personally love these images of the Crone phase of life as regal as well as juicy and still growing! I originally learned that a woman becomes “Crone” (in the sacred meaning of the word), once 13 months have passed since her last period. At this point she can be honored with a Crone Ceremony. In my research I see that others define the advent of the Crone stage at varying times, but it is usually at some point after a woman’s final period or ‘moon’. Crone ceremonies, quite common in ancient times, are making a comeback. There are as many different versions as there are circles of women who create them. There are no rules – isn’t that awesome? Some ceremonies are formal, following pagan tradition and specific Wiccan prayers. Others are made up by the participants and can be extremely simple and even party-like. They almost always include crowns for the crone(s) involved, and these are often fashioned from natural materials such as branches or leaves. The purpose of the Croning Ritual is of course to acknowledge and honor the woman’s transition into this third phase, and to celebrate her embrace of her wisdom. Ceremonies can include altars, special garb or robes, oracle cards such as Goddess Knowledge Cards, and anything else that calls to you. In my 30s and 40s, I made an annual pilgrimage to the Northern California Womens’ Herbalist Symposium, a 4-day conference and campout. One of my favorite parts was the “Maiden Ceremony” where the young girls who had reached menarche were honored with an extensive and beautiful ritual. What a concept! Instead of talking about it as ‘The Curse’, we were celebrating a rite of passage with these young girls. We grown women were envious! As the years passed, and many of the women, including the organizers, began to approach the Crone years, a Crone Ceremony was added. Women who had reached that phase could decide if they want to participate in the ceremony. Each Crone was assigned a maiden who looked after her needs not just during the ceremony but during the entire weekend. During the ritual itself all the women were individually crowned Crone, smudged, sung to, and honored in other ritualistic ways. I remember looking forward to my time to be celebrated. Sadly I moved away and I have not yet found my Crone Community in my new home. 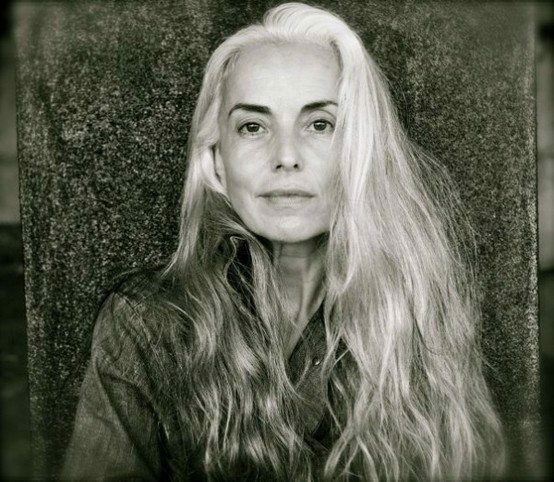 Some women think that to embrace being a Crone they need to let their hair go grey, stop tending their wrinkles, and not care about their looks. I absolutely disagree. Every woman who enters this stage of life has within them the Sacred Crone. Whether they choose to color their hair a flaming red and wear mini skirts, or whether they prefer long flowing silver locks and robes to match…. Both are wise women in their own right. Many of us will fall somewhere in between these two extremes. We all get the chance to be the Crone we want to be! Even if you’re not yet ready to call yourself a Crone (it does take the brain a little time to switch out its connotations), I invite you to reconsider your knee-jerk reactions when you encounter this word. After all, maybe being a Crone can allow us to receive even more. Our Mother years were spent giving, giving, giving (even if we didn’t choose children). Most woman struggle to ask for or receive help and support. Embracing your Crone status gives you an opportunity to allow the Universe to shower you with support. When you embody the true meaning of Crone, people will respond by noticing your INNER beauty, your wisdom, and they will naturally want to come to you for your knowing, and to give back to you. This is a tenet of Law of Attraction. When you act ‘as if’ and EXPECT to be treated a certain way, people just can’t help but respond! I’m looking forward to at time when more people understand and embrace this real meaning of the word Crone. Because then women can shuck off their fears of being ‘invisible’ and unattractive due to their chronological age and truly step into their power and their leadership potential. Having retired from my school position last August at age 61, I view that as my “Crone Ceremony”, although I did not specifically label it so at the time. I see this new era in my life as one of beautiful expansiveness. I have the time to explore new aspects of myself, to look at my creativity through a new lens, and to present myself as the wise, creative woman that I am. I have so many ideas of what I want to do next, but for now, I am taking time to BE. I also follow the Triple Goddess, and am finding that this Crone/Crown time is juicy and glorious! Here is a link to one of my favorite bloggers, Judith, better know as the Style Crone (http://stylecrone.com/). She is a fabulous inspiration to me on what life can be when you embrace and celebrate living in the NOW and being true to yourself. Thank you for writing this post, Sarah. 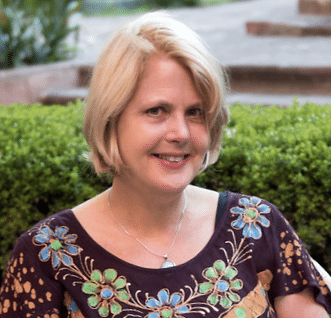 I am celebrating the gifts, joys, and wisdom of my Crone years, which I define for myself – uninfluenced by patriarchal concepts of who a woman is and can be. Namaste! Yay for your own Crone Ceremony Kathy! Maybe you need a crown…. I’m thinking that I do! And how wonderful that you are taking time to explore the different aspects of yourself and get creative. Making time to BE is truly tuning into your wisdom! And, thanks for the share on the Style Crone. What a fun website. To our expansion!